A COUNTDOWN and SALVATION RUN tie-in! The power struggle for control of Gotham’s crime network continues as a new player challenges Penguin for leadership. Meanwhile, Batman goes deep undercover. Plus, guest appearances by Nightwing, Riddler, Mr. Zsasz, Ventriloquist and Scarface! For more preview pages of Gotham Underground #2 Click Here. The Question packing heat – shades of Frank Miller’s Vic Sage. 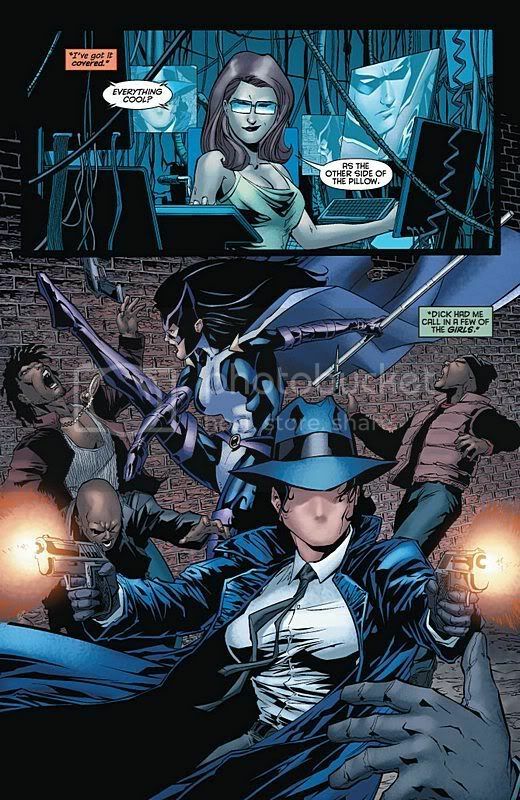 Just not sure it fits with Renee Montoya and the current state of the DCU. To roll with the Bat-family as someone in a mask, isn’t hot lead off limits? Or are those rubber bullets (“Honest!” comes the muffled protest)? Sure, Renee was a cop. She can handle a gun. But superheroes don’t act like cops, especially in Bruce Wayne’s world.